Jeep India's Compass Trailhawk is scheduled for launch in India on July 2019. The Trailhawk's launch will be an additional variant to the Compass' diesel automatic range, which was launched in July 2017. While the Jeep India hasn't officially started accepting Trailhawk bookings in the country, some dealerships are already open for orders for the off-road Jeep SUV. Jeep Compass Trailhawk will be available with multiple features like Active Drive Low 4x4 system, hill descent control, a rear locking differential, and an additional Selec-Terrain system. The SUV will also get a major visual overhaul with changes like new decals, red tow hooks, larger alloy wheels, black accents on the grille and 'Trail-Rated' badging. The Compass Trailhawk's interior is expected to be red highlights with an all-black theme. The off-road SUV will also get a panoramic sunroof, a touchscreen infotainment system with an 8.4-inch display and leather-wrapped steering wheel. The car will also include safety features like descent control among others. The Jeep Compass Trailhawk will be available only with a BS VI-compliant 2.0-litre diesel engine. The engine produces 171 bhp of max power and 350 Nm of peak torque. 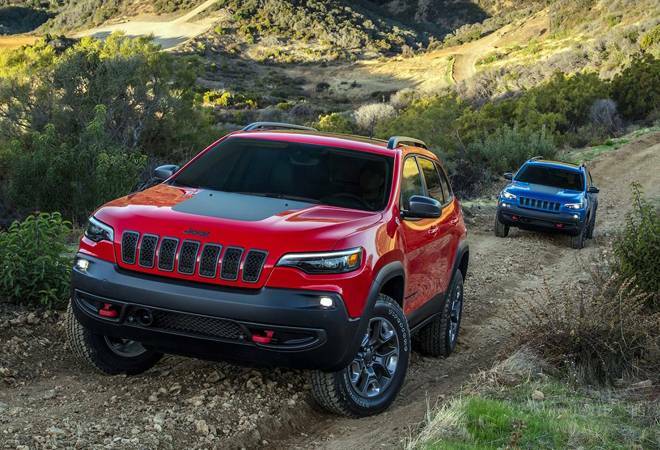 The Trailhawk will also receive a nine-speed automatic gearbox. Since Jeep India's Compass Trailhawk will be the top variant in the company's SUV's line-up, the prices of the upcoming SUV are expected to start from Rs 24 lakh.